As someone who typically spends every weekend in the mountains, once the snow falls and the lakes freeze over, I don’t want that to keep me from adventuring high above the tree line. 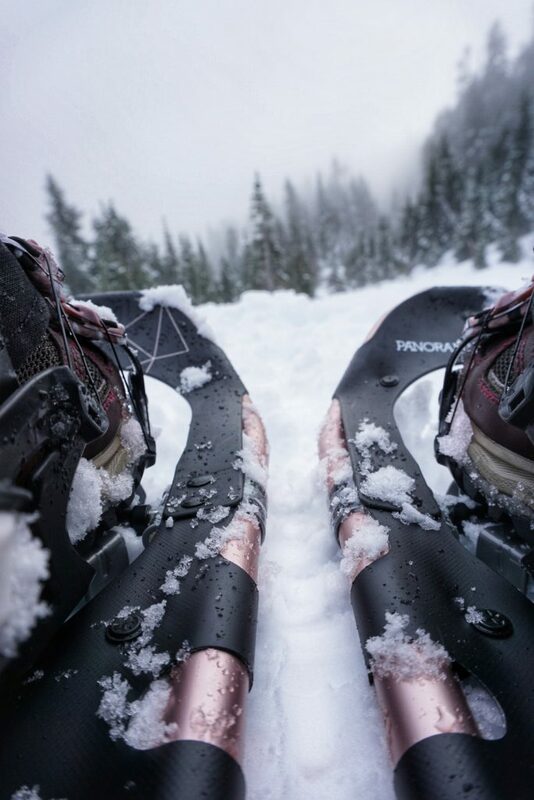 I’ve been looking for a pair of snowshoes that I can just throw in my pack and be confident that they will take me to those remote alpine lakes – sometimes involving hard-pack ice, deep powder, and steep uneven terrain. The perfect snowshoes will also stay tight on my feet and be easy to get off and on mid-hike. 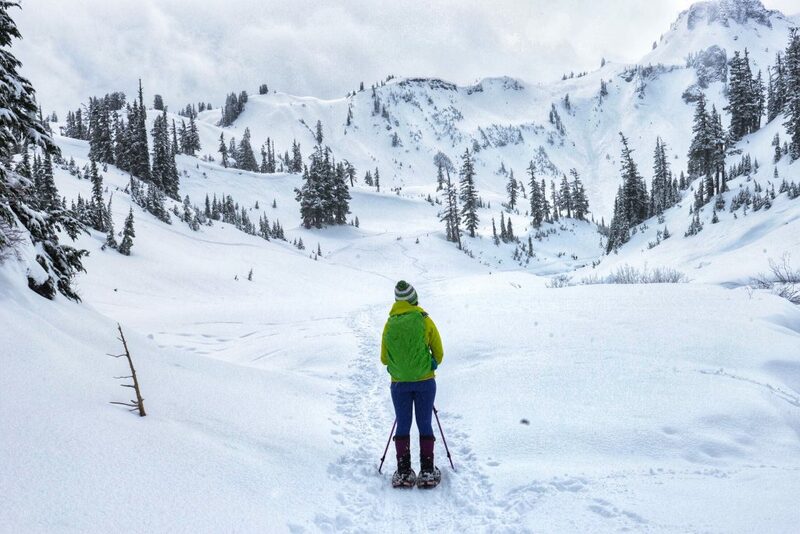 The Tubbs Panoramic 25 Snowshoes deliver all that and more. The Panoramics fit like a dream. Before trying the Panoramic 25 I struggled with heavy snowshoes that did not work well with certain boots and had complicated and often unreliable bindings. From the moment I slipped my foot into the Panoramics, I knew it was love at first step. But I can’t talk about the fit any further without first saying that the Boa dial binding system is an absolute game-changer. 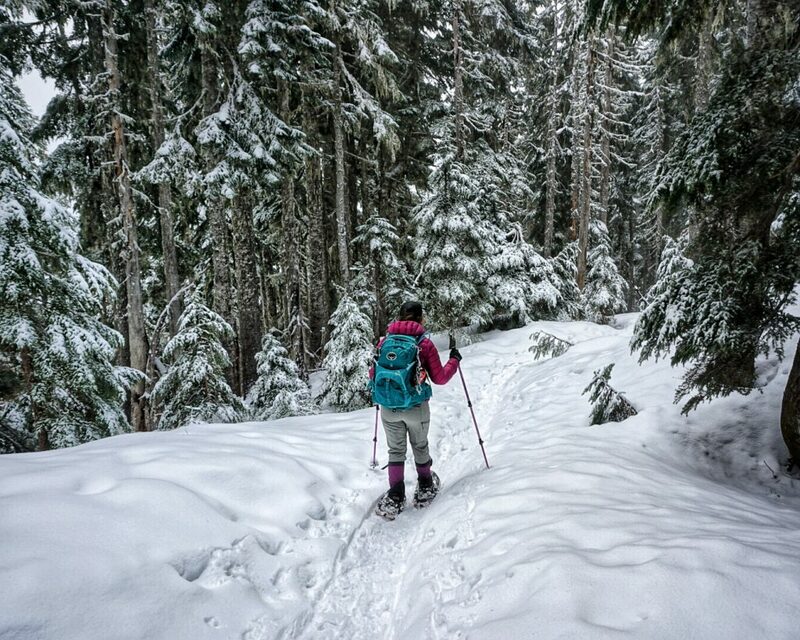 In early winter and late spring, a lot of the trails do not have snow beginning from the trailhead, requiring you to carry your snowshoes on your pack and put them on mid-trail. No one wants to be that one person that everyone is waiting for. 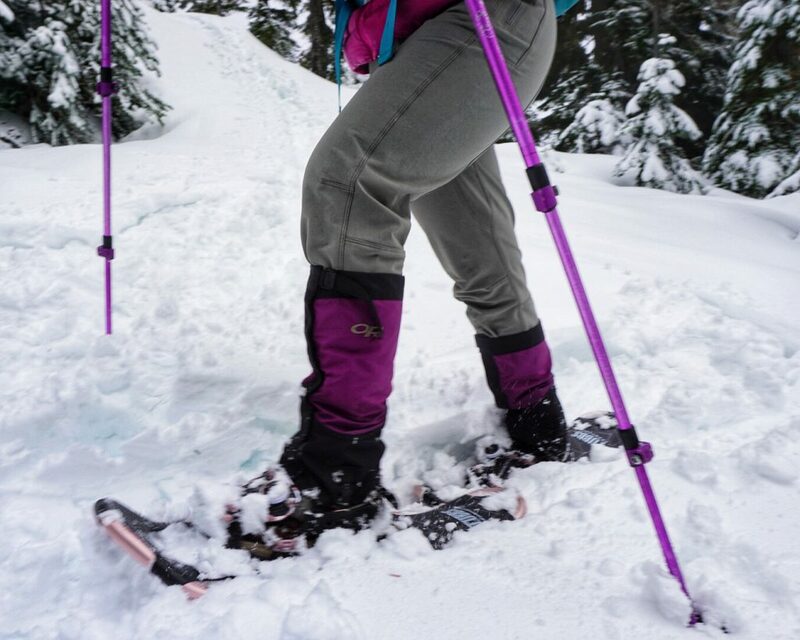 Having an easy, reliable, strapless binding that tightens as easily and quickly as it releases is a must-have when looking for a great all-around snowshoe. Do you ever have trouble keeping your hands warm on those sub-freezing days? No more freezing your fingers off – with the easy-to-use Boa dial binding system you are able to tighten and loosen your snowshoes with the twist of a dial, allowing you to make any needed changes while keeping your bulky winter gloves/mittens on. Once I started using the Panoramics I found myself spending less time fidgeting with my bindings (and letting my hands freeze) and more time breaking trail. I don’t see myself ever owning snowshoes without a Boa dial. Not to mention the foam surrounding the bindings is like pillows on your feet, providing a fit so comfortable that you won’t ever want to take them off! In previous seasons I’ve been limited to where I can go and the type of terrain I can maneuver due to my snowshoes. Well, not this year! I’ve put the Panoramics to the test at several PNW favorites, including Artist Point near Mount Baker and Mount Ellinor in the Olympic National Park. At Mount Ellinor I had to break trail in several feet of fresh powder, often involving a double fall line (when the trail not only slopes down hill but also side to side). The Panoramics accomplished this with ease. The steal carbon toe crampons combined with the lightweight decking provided great grip on the double fall line while also keeping me afloat and well-balanced as we broke trail for several miles. The heel assist also came in handy, taking some of the strain off my calves and making a steep pitch a lot more manageable. At Artist Point the snow was much more packed down and even icy in places. The Panoramics gripped the snow on even the iciest of spots, keeping me at the head of the pack rather than slowing down the rest of the group. 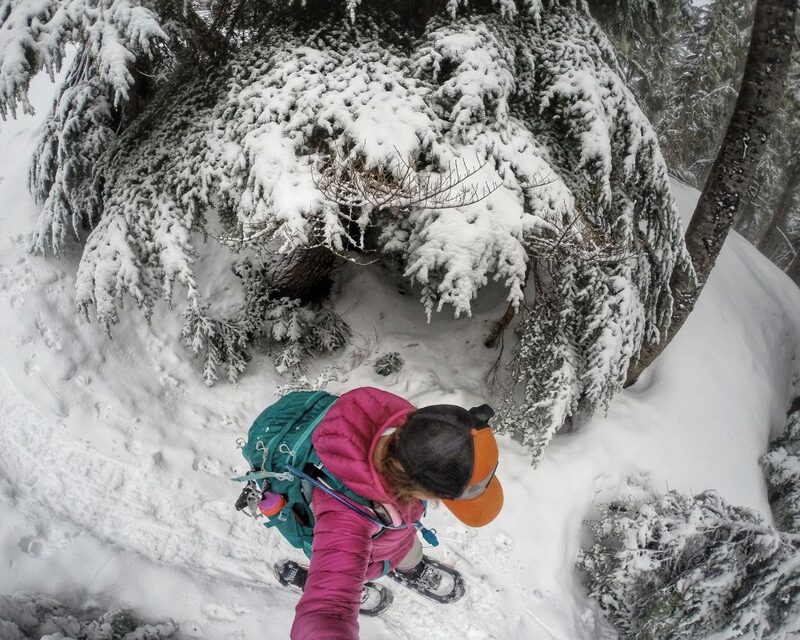 I am completely smitten by the Panoramics and would highly recommend them to any outdoorsy chick looking for the perfect all-around snowshoe. 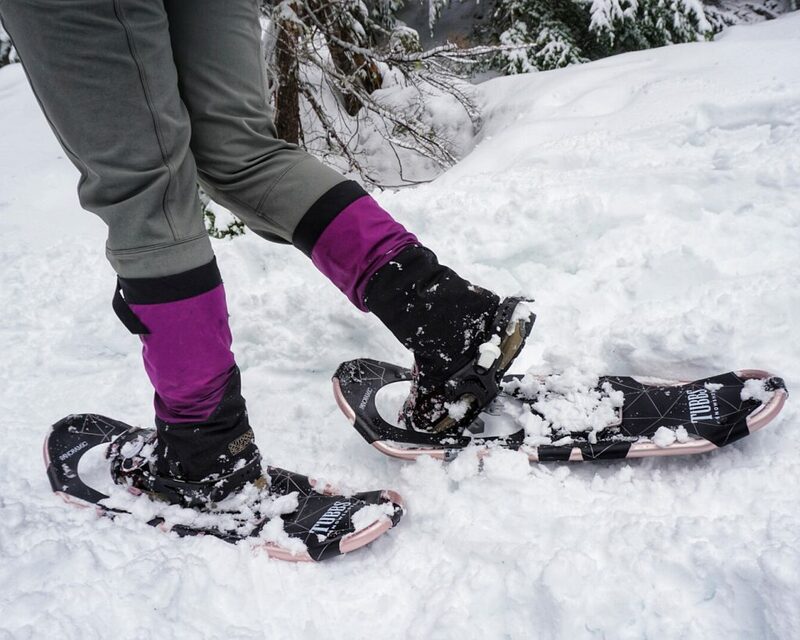 While they may not be the lightest snowshoes around, they are comfortable, versatile, and extremely easy to use. The Panoramics will take you anywhere you want to go, from hard-pack ice to powder, and beyond. 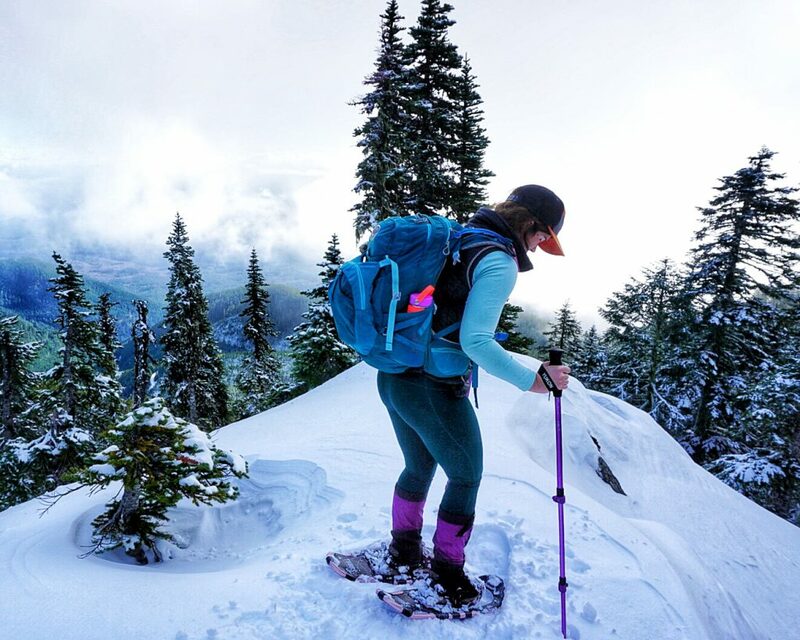 Shop the Women’s Panoramic Snowshoes or the Men’s Panoramic Snowshoes on Outdoor Prolink. Not a member? Apply today! Kelly Dona, Dirtbag Dreamer, is a PSIA-certified alpine ski instructor from Seattle, WA who has a passion for the outdoors. 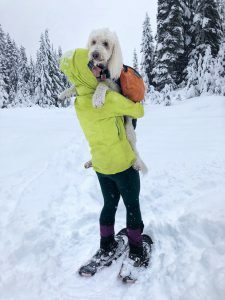 When she is not skiing you will most likely find her hiking, backpacking, or snowshoeing throughout the Pacific North West with her labradoodle, Daisy. Find her and her pup on instagram @Kelll_bell89.